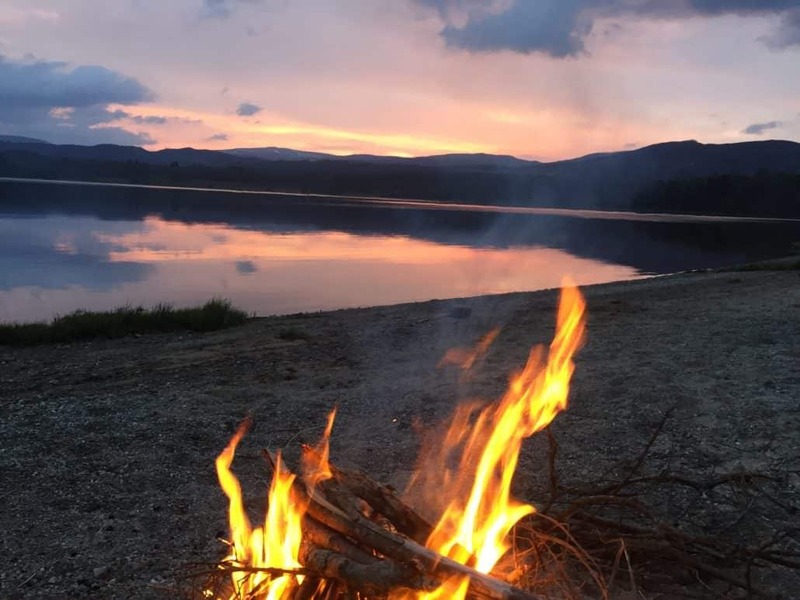 In our mind there is little better than sitting around a campfire; as Henry David Thoreau said, “The fire is the main comfort of the camp, whether in summer or winter, and is about as ample at one season as at another. It is as well for cheerfulness as for warmth and dryness”. 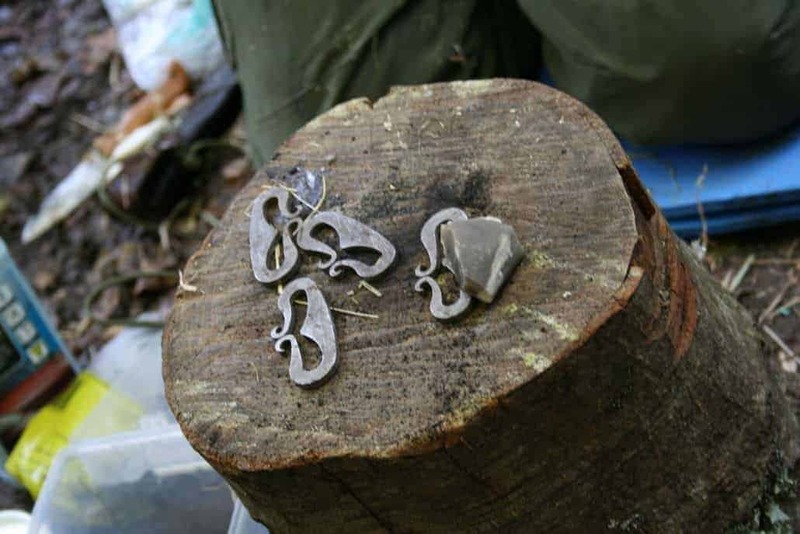 With that in mind, this week we’re going to take a look at some tools for fire lighting that you can prepare before your trip, how to practice at home and give you a bit of an introduction to tinderboxes. Remember, you can either read the whole blog or skip to the part that interests you the most. The best way to get started with friction fire lighting is by taking our one-day friction fire lighting course. Click here for more information and to book your spot. Remember the old Boy Scout motto? Well being prepared is key to successful fire lighting. Gathering the right kind of tinder, building your fire in the correct manner and approaching fire lighting with the correct attitude will all help when it comes to getting your fire going. Here are a few things that can help you when it comes to being prepared to light your fire. Charcloth is a great favourite when it comes to fire lighting. It is essentially ‘charred’ cloth and has been used throughout history in primitive fire lighting techniques. Once the char cloth has been created it will catch fire with the slightest spark. While it can theoretically be made from natural materials, such as fungus, this blog is going to focus on making char cloth out of cotton. Making char cloth begins with making the char tin. In order to make your char tin you need to find a metal tin deep and wide enough to store strips of cloth in it. An old tobacco tin or the like will suffice. The tin needs to be airtight or as close to as makes no difference. Make a hole in the centre of the lid of the tin – remember, only make the one hole. The hole only needs to be about 1/2mm wide; this step is vital as without it gases will build up in the tin and it could explode. The cloth that you put in the char tin must be 100% cotton. An old TT-shirt will suffice. The cloth needs to be cut up into small squares and layered gently into the tin. Don’t cram it in, it needs to be gently put in with air between each of the pieces of fabric. The fire in which you put your char tin need not be a roaring inferno. Rather, it should be a either a gentle flame or the embers of the fire. Watch the char tin and you will see smoke begin to billow out of it – this is totally fine and what you want so don’t worry about it. Wait for the smoke to stop appearing from the hole at the top of tin, then remove it from the fire. Whatever you do, don’t take the lid of straight away. This is because the tin will be red hot but also because opening it straight away might cause the air to rush in and to re-ignite the fire. Remove the lid from your char tin and look at the cloth inside it. It should be completely black, soft and not too fragile. You should be able to take out each piece of cloth and shake it gently without it crumbling. Your char cloth should now be able to ignite as soon as any spark falls on it. Test it at home and then practice using it to light fires in different conditions. Remember though that even if you’re using char cloth you still need to build your fire properly – just because you’re using char cloth doesn’t mean that you can go straight in and start a fire using large thick or damp logs. Vaseline and cotton wool are a great tool for getting a fire going in the wind and rain. They are easy and inexpensive to make and can easily be made at home. Done correctly, vaseline and cotton wool balls should light with a single spark. Vaseline and cotton wool balls are really easy to make. Simply get the cotton wool pads that are used for makeup removal and the like. Pull them apart so that the soft, fluffy, inside is accessible, scrunch them up into small balls. You can then either put these balls into your tinderbox as they are, along with a small tub of vaseline, such as you would use for chapped lips. When it comes to starting your fire you can smother them with vaseline, drop a spark on them and hey presto! Alternatively, you can smother them with vaseline before putting them in your tinder box. In this section, we’re going to have a little look at tinderboxes, the history of them and what you should put in them. Until the invention of matches and their commonplace usage, the tinderbox was the primary method of fire lighting. This was true of fire lighting in the home as well as in the wild. The tinderbox would contain a fire steel, a striker, and tinder – which would typically be char cloth or a bundle of fibrous wood. Making up a tinderbox can be great fun and is key to fire lighting in adverse conditions. You should include char cloth, as we showed you earlier, and perhaps some cotton wool balls/ vaseline or fibrous bark – birch is always a good place to start. You’ll also need a fire steel and striker. Here, we’re great fans of Swedish fire steel, in the video below we show you how to light a birch bark using a Swedish military fire steel and birch bark. The best way to get started with friction fire lighting is by taking our one day friction fire lighting course. Practice, as they say, makes perfect. When it comes to lighting a fire in the wind and rain out in the wild practice is essential. Practicing lighting fires close to the comfort of your home in adverse conditions will help when it comes to doing for real out in the wild. This goes for friction fire lighting, which we covered earlier this month and fire lighting through using aids such as char cloth. Next month we will be looking at bushcraft skills for the winter months including; how to read the weather, fire lighting in winter, foraging and plant identification and what to look out for when it comes to hypothermia. Bushcraft Courses. Wildway Bushcraft Courses.